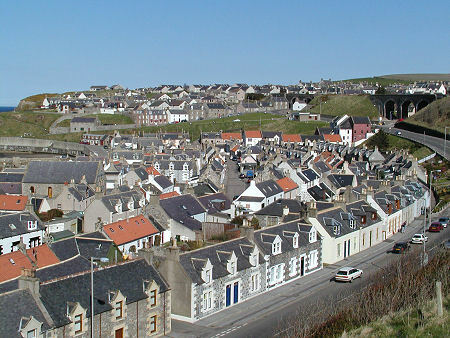 Cullen is an extremely attractive town originally built around the mouth of the Burn of Deskford. 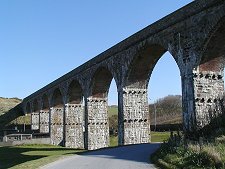 When seen from the sea it is framed from behind by higher ground carrying a disused railway line over a series of spectacular viaducts. The town is in two parts. 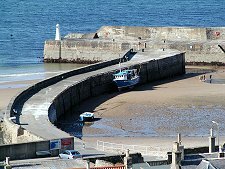 Sandwiched between the sea wall on one side, and the curve of the main road on the other, is the fishing village, Seatown of Cullen. This is a unique collection of a couple of a hundred small stone fishermen's cottages. At the seaward side they turn their ends to the sea, which on this north-facing coast can be much less placid than implied by the images on this page. Wandering around Seatown is a slightly other-worldly experience. It was obviously a planned community; but the plans were interpreted in any number of slightly different ways as individual cottages were built. One fascinating feature is the brightly-coloured appearance of the render applied over the joins between the stones forming many of the cottages, but not over the faces of the stones themselves, producing an odd patchwork effect. 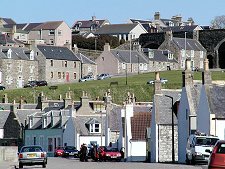 There are other examples of similar cottages elsewhere along this coast, and other settlements with their own "Seatown", but nowhere else have we found the effect to be quite so complete as here. A wonderful place for a stroll on a quiet summer evening, the best views of Seatown can be had from the footpath that now runs along the old railway line on the hillside behind. 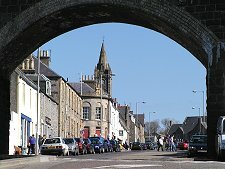 The "inland" side of Cullen, sometimes referred to as "New Cullen" stretches up an imposing main street that continues from Seatown under the most easterly of the three railway viaducts. 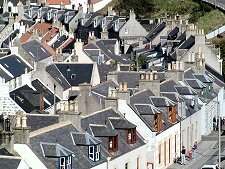 Here you can find a collection of local services and attractive small shops that service the local community: but again no sign of the commercialisation that has elsewhere overwhelmed attractive coastal settlements of this sort. 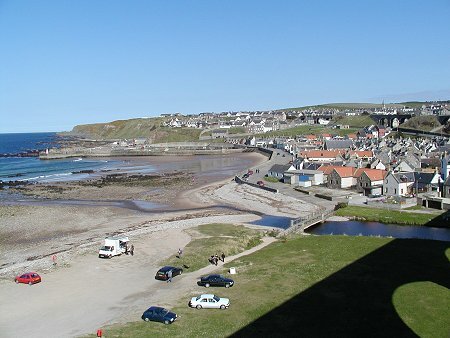 At the eastern end of Seatown, just below where the main road emerges from its viaduct, is Cullen's harbour. Again, this is a relatively quiet place that marks the junction between the Seatown's sandy beach and the rockier seascape to the east. 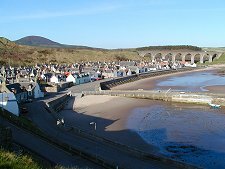 People enjoy this beach, but most prefer the much larger expanses of sand to be found immediately to the west of Cullen, and easily walkable from it. Cullen has a long history. 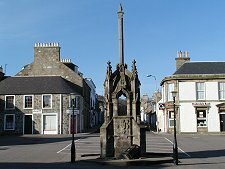 It was established by 1189 on a location about half a mile inland from where you find it today, marked on maps as "Old Cullen" and close to Cullen House. 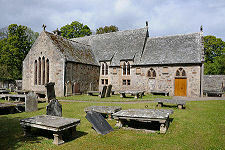 A church was built in 1236, and its successor, Cullen Old Kirk, can still be visited today. Cullen's wealth in the 1700s was built on textiles, and threadmaking in particular. However the main period of growth came with the herring boom in the 1800s. 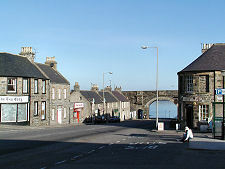 New Cullen and Seatown of Cullen were built in the 1820s, the latter close to the pier built by Thomas Telford in 1819. 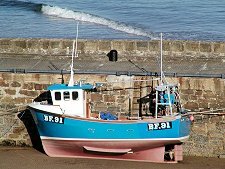 This fishing heritage lies behind Cullen's main claim to fame: a form of smoked haddock, potato and onion soup named after the town: Cullen Skink. The slightly odd name comes from the Gaelic word for "essence". 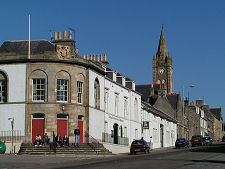 On Seafield Street as it heads uphill from the viaduct is the wonderful Ice Cream Shop, regarded by many as Scotland's best ice cream shop, though see our Brora page for another contender for this title. 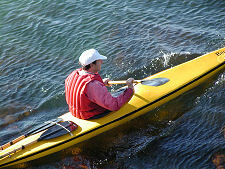 More widely, you will find Cullen has little to offer in the way of nightlife or entertainment. There are a couple of pubs, though perhaps not as many as you might expect, and there is a fairly large hotel in the centre. But while Cullen's determinedly uncommercial nature may not be to everyone's taste, it is certainly to ours: and you really ought to go if only to experience some of the world's best ice cream!